Do we have the will to remain united? This is the question of the day! Ethiopia is heading towards a massive crisis. Everyone from Diaspora politicians to ordinary citizens is taking a stab at how 2018 will advance disunity. Naturally EPRDF, together with other political forces, is the one force that can still peacefully work out a successful federalism. If Ethiopia can work out a successful federal solution, it will be a shining example for other intense inter-ethnic conflicts in Africa and beyond. To succeed, federal solutions require a will to federate — a spirit of comity, of give and take, on the part of the parties to them – for whatever reason, not necessarily out of love for one another but perhaps out of necessity. The 1995 Constitution was an attempt to address three fundamental aspects of the “national question”: (1) the right of a nation acting to create its own state through demands for national self determination; (2) the right of a national homeland (whether sovereign state or republic within the Federation) to ensure the general welfare of the state and its people; and (3) the rights of members of national minorities or states to seek cultural or political autonomy by seceding to form their own national homeland. A multinational state, such as Ethiopia, cannot attempt to resolve these questions in any one nation’s favor, lest it risk the collapse of the entire state. If a resolution of the national question in Ethiopia appears to tilt in favor of any one particular group, the federation’s internal balance would be upset. 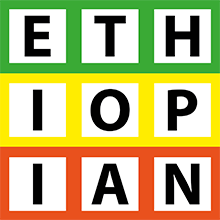 Thus, the 1995 Ethiopia was not only constructed as a mosaic of different ethnic nations, but also a system that was developed to accommodate these differences. What we see today is the unfolding of this experiment: the conflicts between (and among) the federal State and its constituents’ multinational states that are edging to go their own way. The squabbles between regional states about who will control resources or power are spilling over to affect the lives of ordinary citizens. The Federal government remains unable to do anything except putting in place committees of investigations. Can this go on for long? More broadly, can Ethiopia find a cure for the sclerosis that afflicts its broken governing system? We can debate whether the problem is systemic or political (bureaucratic incentives, disincentives, rewards and punishments that affect officials’ decision-making). And we can advance some possible solutions but there is no magic bullet or instant formula. There is need to tackle first principles, and explore others experience. The point is – change is both essential and possible, and is needed now. before the paralysis of the central government deepens and the regional states introduce a patchwork of state laws to support their own self interest. The EPRDF government either needs serious reforms or it should be abolished; and whether we like it or not this requires changes in our constitution. Constitutional reform is entirely legitimate in the life of a vibrant democracy. In refusing to engage the people of Ethiopia in constitutional reform, our leaders forget that the Constitution belongs to the people, not the Federal and regional governments. In the 21st Century there should be no hesitation in establishing a manageable constitutional change agenda that brings the people of Ethiopia into the center of the process. The constitutional reforms that I envision should seek to fundamentally change the structure of Ethiopia to shift many powers from the federal government to the regions, Woredas and Kebeles. But also address issues such as: ethnic corruption and dictatorship; deficiency of basic rights and freedoms of information, association, and expression; lack of political will to generate participatory governance, and political apathy. The first Constitutional Reform Conference, which we all should advocate for, should focus on: (a) the Preamble (what kind of Ethiopia); (b) assignment and distribution of powers and functions in a federal system made up of a federal and a regional/Woreda/Kebele level structure; (c) electoral and party reforms; (d) plural executives; (e) the separation of powers; (f) strong kebele self-government; (g) military mobilization and reserve service; (h) rights and liberties. In all some dozens agenda items.